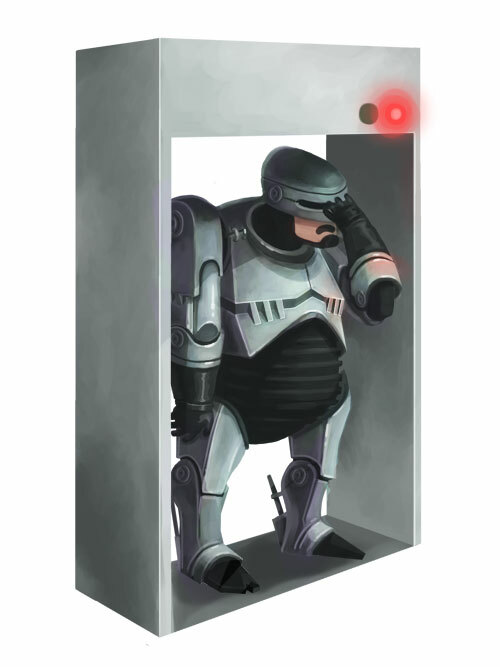 I made a pudgy Robocop in the computer. Poor metal-man always setting off those pesky metal detectors. Too bad he doesn’t have a prime directive telling him not to walk through them.